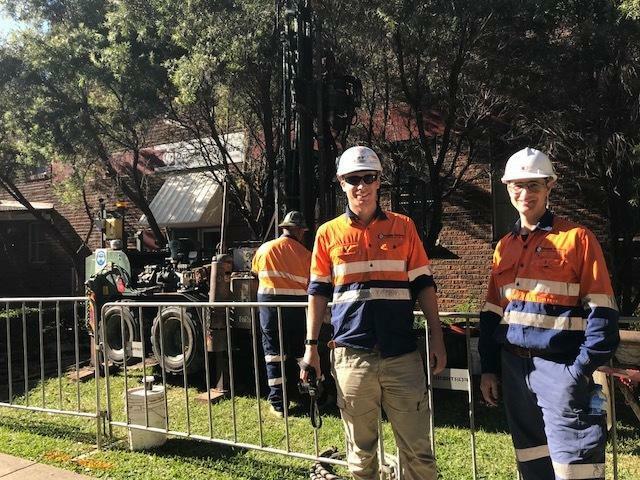 It was all action yesterday morning outside Douglas Partners' Sydney branch where GroundTest driller George, and offsider Josh, installed a new training groundwater well and gas vapour well for future training of our staff. Andrew McIntyre, Huw Smith and David Walker were on hand to film the process for educational media. Many of the Douglas Partners' administration staff had the opportunity to inspect the process and learn more about what we do out on site.